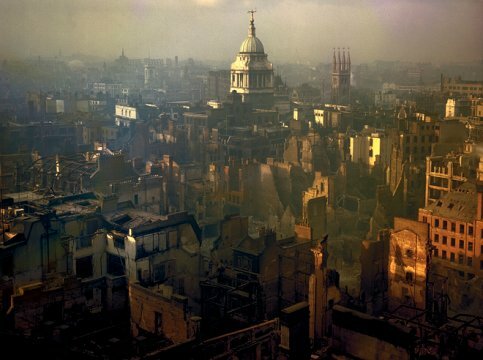 A view of London in 1940, with damage from German bombing raids. 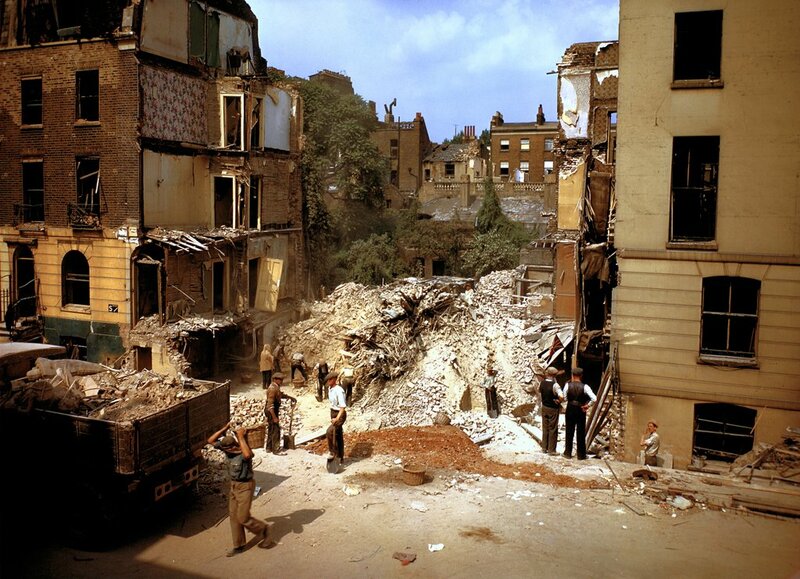 Workers clear debris from the lot where a home once stood, London, 1940. 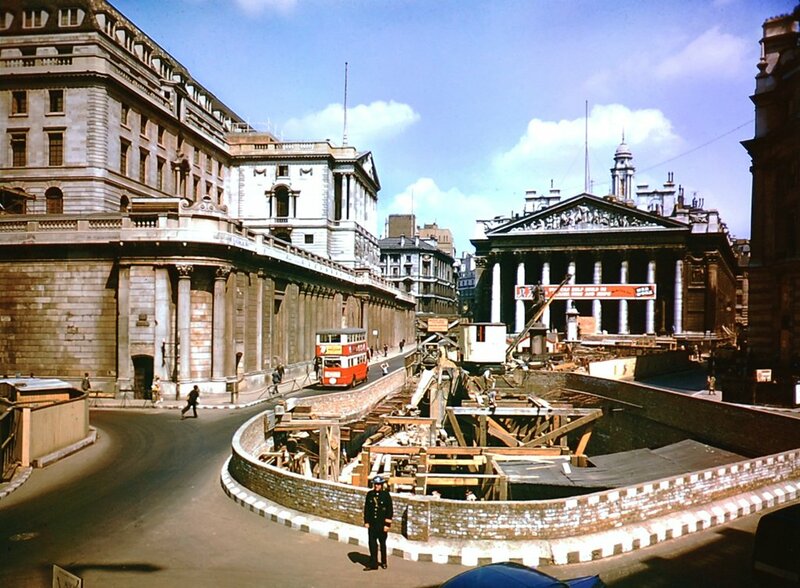 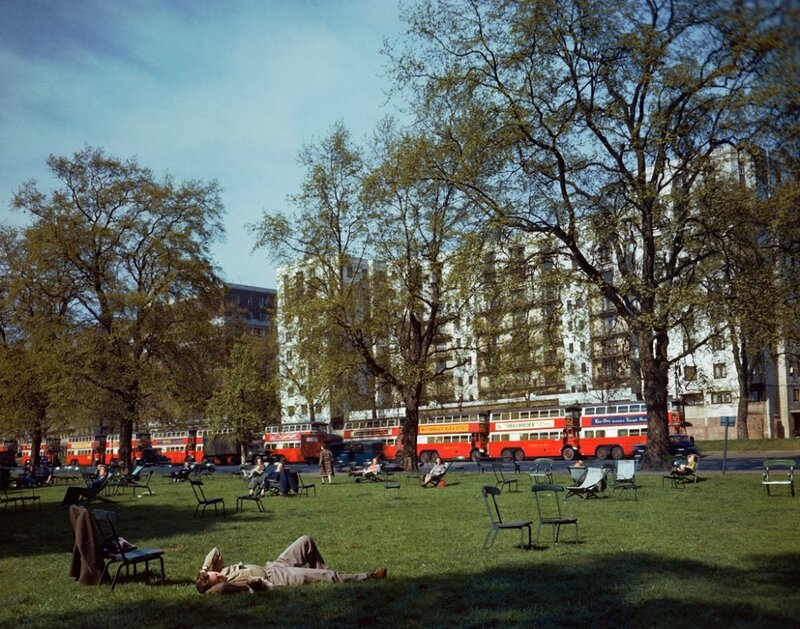 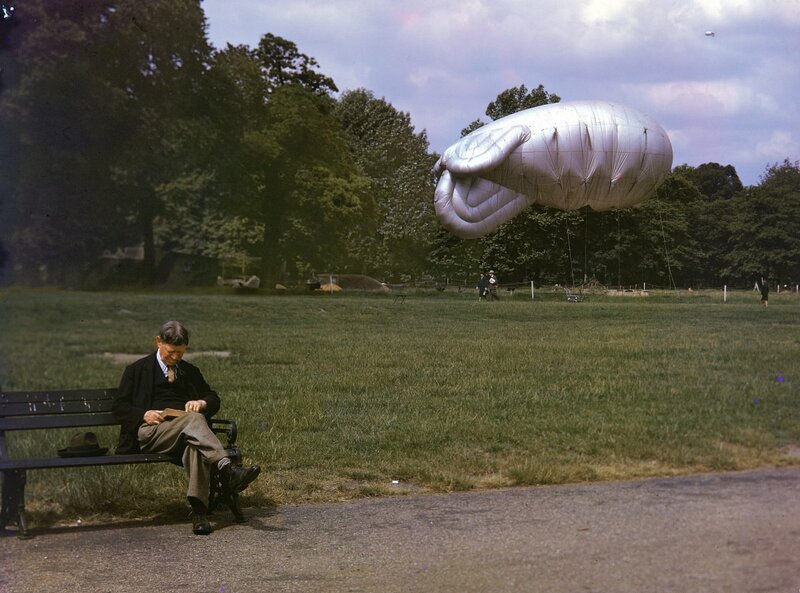 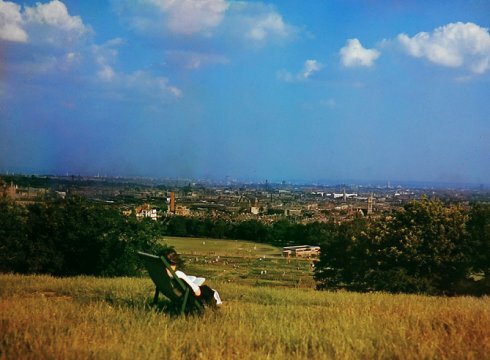 These LIFE magazine colour photos were taken in London during the war, in tribute to the spirit of Britons who would not be cowed. Damage in London during The Blitz, 1940. 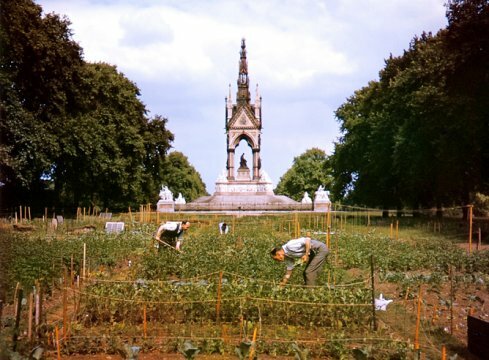 Britons work a "victory garden" in the midst of World War II, 1940. 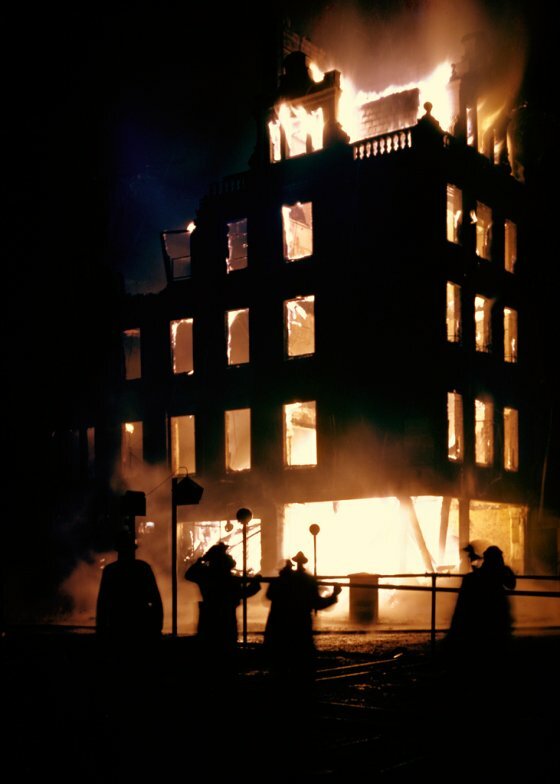 A London building ablaze during the Blitz, 1940.
injured and dead civilians from destroyed buildings. 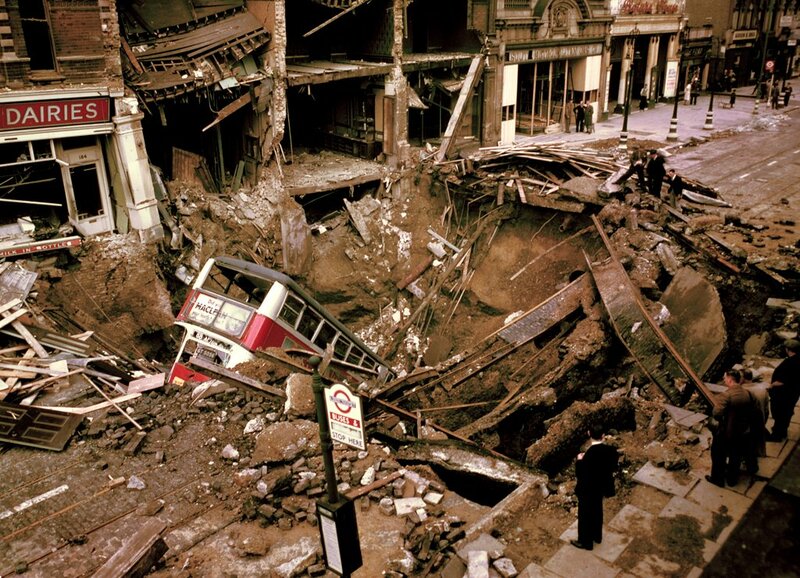 A London bus rests in a massive crater left by a German bomb, 1940. 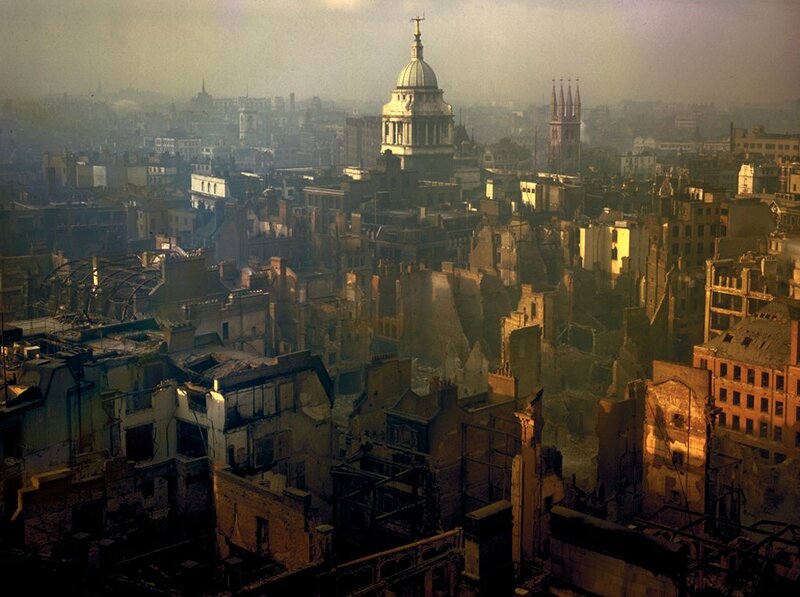 A view of London after a German air raid, 1940.
while a second one soars high in the distance. 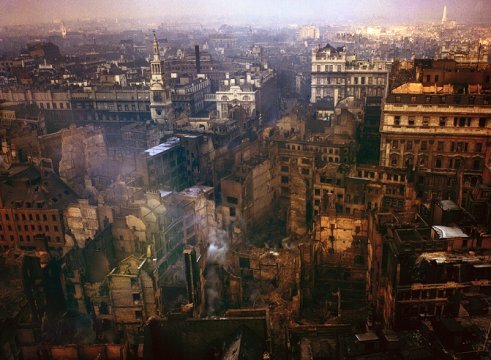 caused by German air raids, 1941. 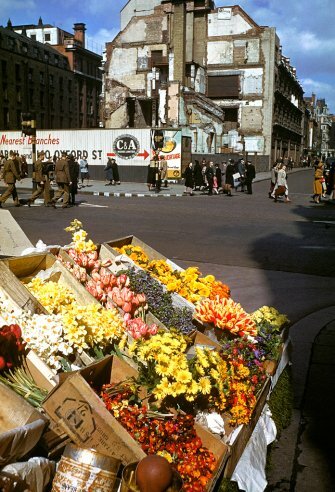 Outside of London during World War II, 1940s. http://www.youtube.com/watch?v=40knj0qg_Us&feature On 30 April 1982, the RAF launched a secret mission: to fly a Vulcan bomber to the Falkland Islands and bomb Port Stanley's runway, putting it out of action for Argentine fighter jets. 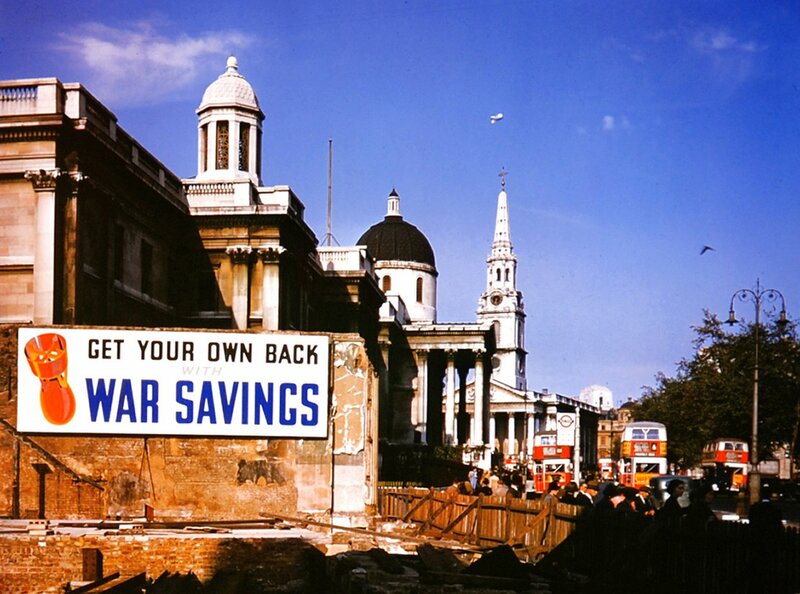 The safety of the British Task Force depended on its success. However, the RAF could only get a single plane - a crumbling, Cold War-era Vulcan - 8000 miles south to the Falklands, because just one bomber needed an aerial fleet of 13 Victor tanker planes to refuel it throughout the 16-hour round-trip. At the time it was the longest-range bombing mission in history. 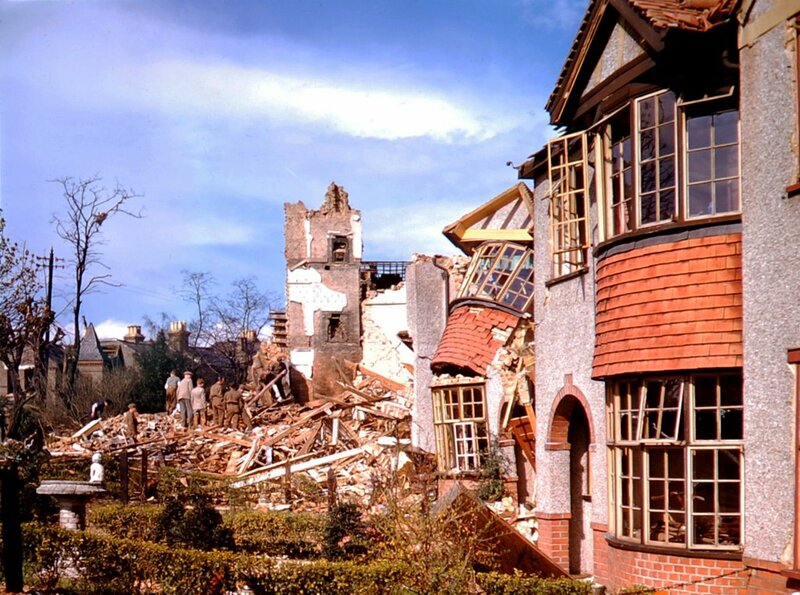 On the brink of being scrapped, only three of the ageing nuclear bombers could be fitted out for war, one to fly the mission and two in reserve. Crucial spare parts were scavenged from museums and scrap yards - one vital component had been serving as an ashtray in the Officers' Mess. 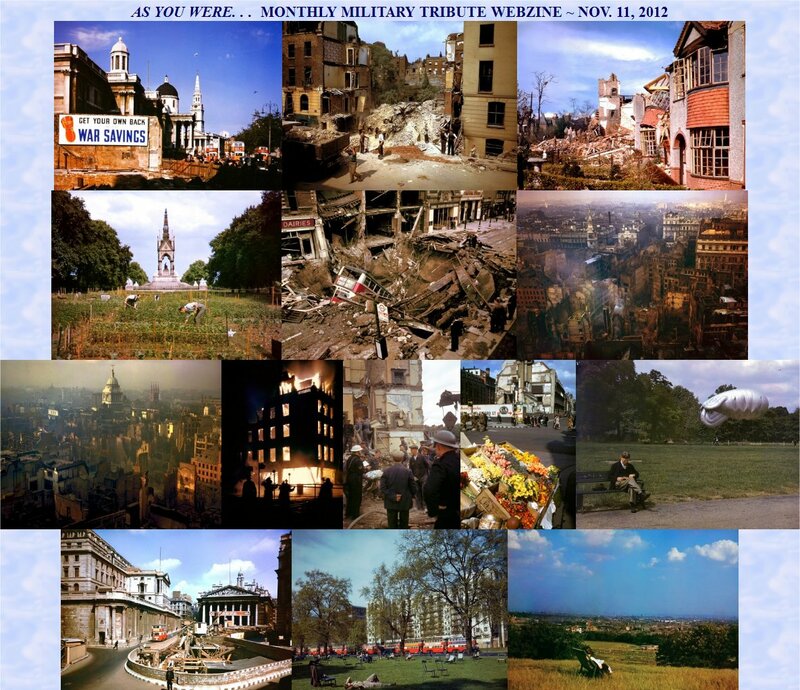 In just three weeks, the Vulcan crews had to learn air-to-air refuelling, which they hadn't done for 20 years, and conventional bombing, which they hadn't done for 10 years either. 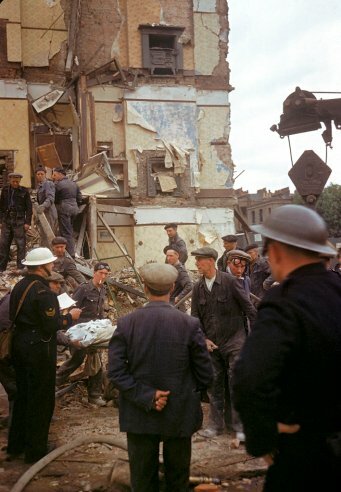 With a plan stretched to the limit and the RAF's hopes riding on just one Vulcan, the mission was flown on a knife-edge: fraught with mechanical failures, unreliable navigation, electrical storms and lack of fuel.